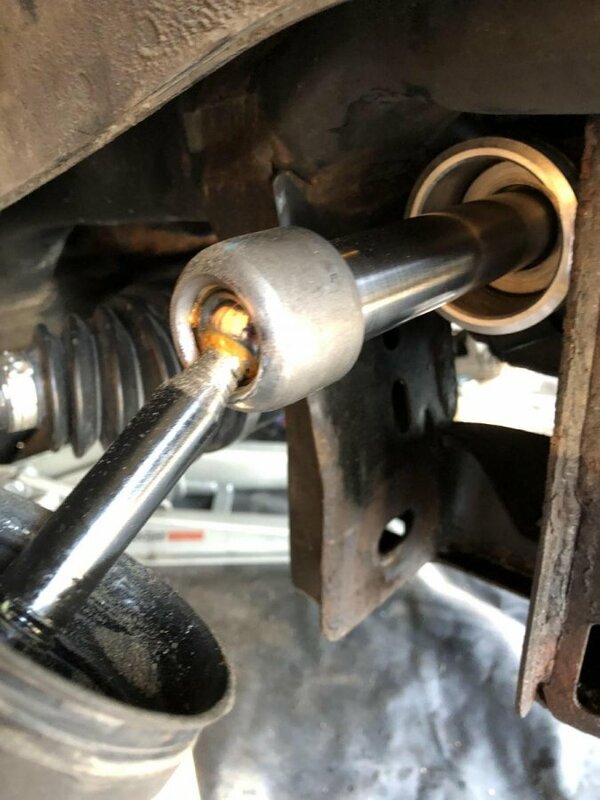 JeepForum.com > Models > Jeep Grand Cherokee & Commander Forums > WK Grand Cherokee & XK Commander Forum > Inner tie rod end. 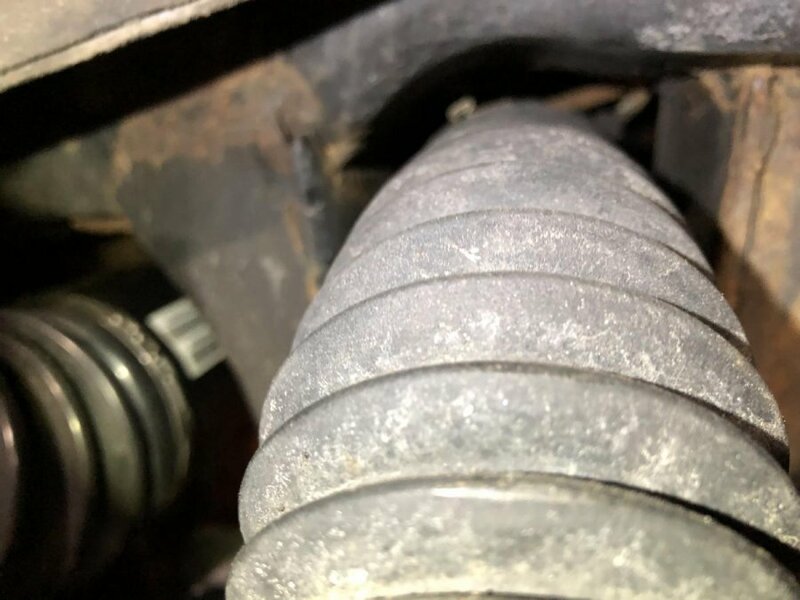 I have another thread going where I needed some advice on removing a wheel bearing but rather than continue to add to that I figured I’d start this thread regarding the inner tie rod. I think I can get the inner boot clamp off but not sure how I’d get a clamping tool in there to put a new clamp on. The new inner tie rods came with just a clamp, no new boot so I don’t want to destroy the boot in the process. I’ve turned the wheel to one side but access isn’t really any better. Has anyone who has done this job on a wk able to give some input? I’m hoping I don’t have to pull the whole steering rack to do this job right. Looks to me like you just squeeze that clamp down with channel locks (or other parallel jaw pliers) and slide it back with the boot. Or slide it out and off the boot and leave it there to re-use. I don't think you want to remove it. BTW: That's an outer end, there is no tie rod or inner end with R&P steering. 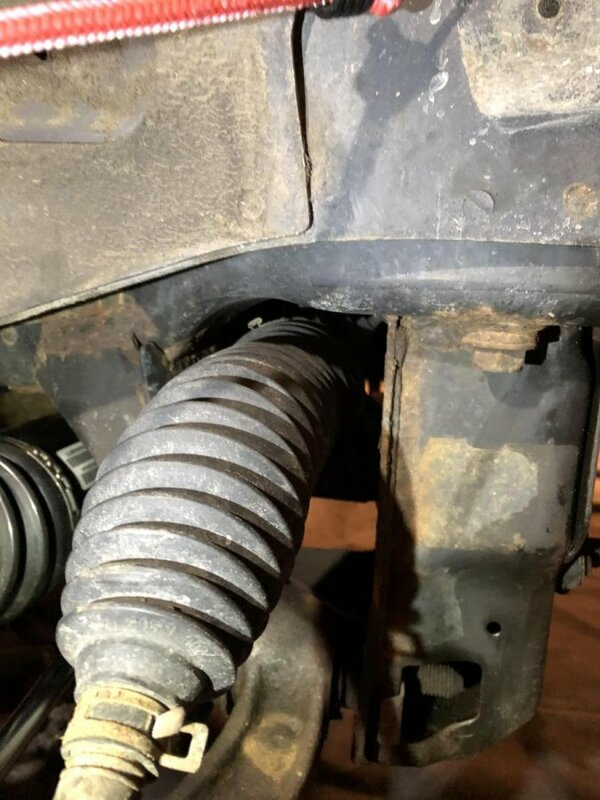 I'm pretty sure I can get the boot off, I just don't see a way to put the new clamp back on with the inner tie rod end. I did purchase the inner and outer for both sides so I'm not sure what you mean. I'm planning to leave the outer on if possible so I can make sure the new inner and outer end up being as close as possible to the ones that come out. Interesting. I'm not sure there is even room to get that in there though. I put the crimp at the bottom where there's a bit more room. Great. Anxious to hear if these worked. I’m also considering using a regular radiator hose clamp. Looks like if it’s positioned right, I might be able to get a screw driver on it from underneath. Also wondering if you used an inner tie rod tool to remove them or if you were able to turn them off with a wrench or something else? It went up to 1 7/16". The offending part on my ride was 1 5/8". Only thing I had that big was vice grips, did the trick. New part was 1 1/2" so I may have modified the borrowed tool a touch. New inner CV clamp, used that tool ^^^. Never-seize on the threads, jam-nut (60'lbs) on first. 70'lbs for the TRE b-joint. I pulled the boot and think a pipe wrench might work. Trying to pull it off all connected with the outer so I can match up the size for the new inner/outer. I haven’t seen an inner tie rod tool in person but looking under the boot it’s not clear what it would grab on to. I tried some channel locks but they’re too small to grab it well enough and get decent torque.